Tim Suermondt is the author of two chapbooks, The Dangerous Women with Their Cellos (The Manny Trio Press, 2002) and Greatest Hits (Pudding House Press 2002). 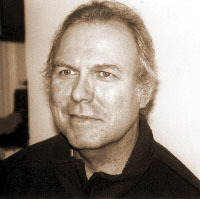 His poetry has appeared in many journals, including Poetry, Poetry Northwest, Barrow Street, Indiana Review, Southern Poetry Review, Northeast Corridor, and River Styx, as well as such online journals as The Cortland Review and Painted Bride Quarterly. He has poems in Poetry After 9-11: An Anthology of New York Poets (Melville House Books, 2002) and an anthology of poetry about Walt Whitman forthcoming from the University of Iowa Press. He has been nominated for the Pushcart Prize and was a winner of the 63rd Street Y Open Voice Award. He lives in New York and is an executive recruiter for stockbrokers.